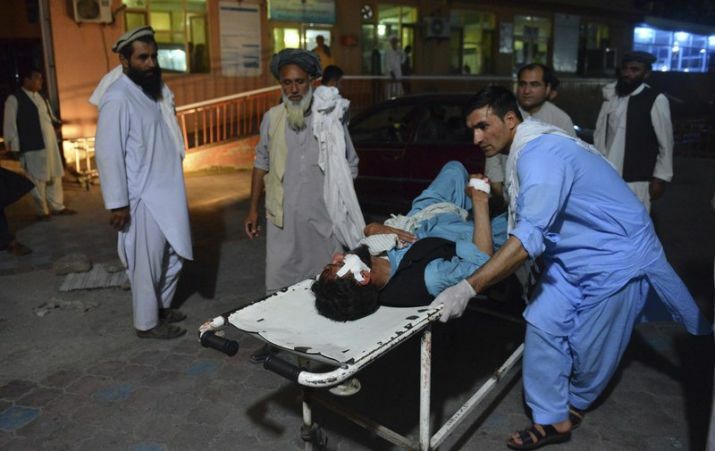 No one immediately claimed the attack, but it was likely carried out by the Islamic State group, which was not included in the cease-fire and has clashed with the Taliban in the past. Kabul: The death toll from a suicide bombing against a gathering of Taliban fighters celebrating a holiday cease-fire in Afghanistan has risen to 36, an official said today. After the attack, Afghan President Ashraf Ghani announced a nine-day extension of the cease-fire. There was no immediate word from the Taliban on whether they would observe the extension. The three-day holiday and cease-fire ends Sunday. But over the past two days Taliban fighters could be seen celebrating the truce alongside Afghan troops and other people in a number of locations, according to photos and videos posted online that appeared to be authentic.